Meng Qi posted about this. It is now available…I think; not sure what the waitlist is like. 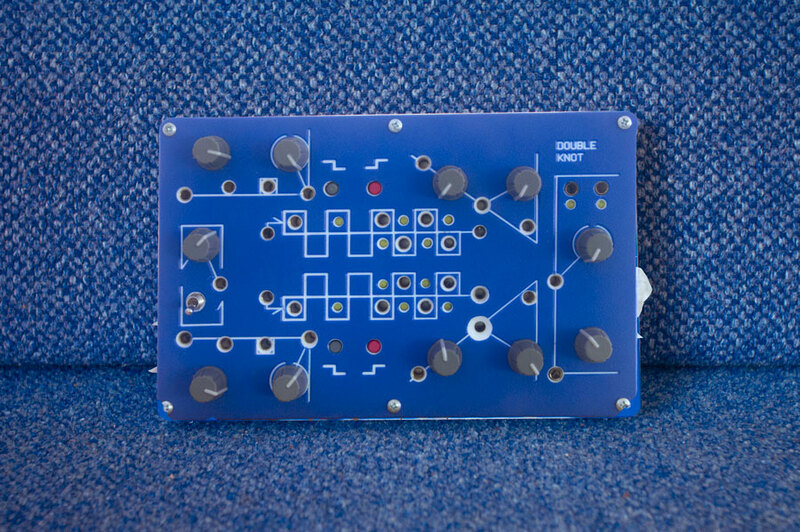 It’s pretty interesting looking; I can’t think of anything exactly like it offhand; a self-contained two track/stereo analogue synth and sequencer, with some novel circuit twists. A really nice touch I think is that despite that it uses banana cables for patching, it has 3.5mm connections for clock I/O, and for stereo audio out, suggesting that it will integrate seamlessly with an existing Euro rack. So much for my anti-GAS haiku. this looks like something i could just noodle around on for hours and hours. beautiful. That’s another piece I’ve been pretty interested in. You didn’t happen to buy the used one at Perfect Circuit a few weeks ago did you? We should all try to figure out half a dozen haikus to stop ourselves from buying that synth. Edit: to be less off-topic: this is a super interesting synth and definitely a rare not too shameful gear acquisition to desire. Sadly, these days, because of live considerations, I need gear I don’t really really want, and I want gear I don’t really really need. Damn. Revisiting this. Very nearly impulse ordered last night but the price is just too high to make it a complete spur of the moment thing. That said, this seems like the perfect way to replace my Matter, which I do miss sometimes. Myles, I had the same response. The price is just high enough to brake the instant gratification impulse. I emailed him about delivery and he’s anticipating/hoping-for mid-December for current orders. I don’t like the whole pre-order thing generally (and I view my wait for my Arc as a backorder), but I may make an exception with this. I happen to have some funds kicking around in Paypal from some Ebay sales. Maybe I’ll do it. Just noticed these are in stock at Control. Trying to avoid GAS here but does anyone have one? Do you like it? How are you using it? Any videos / sound examples? I saw that too. It’s the one thing floating around out there right now with which I’m struggling. As someone commented earlier, the price is just high enough to stay the Instant Gratification Finger. It does exactly the thing I want it to do, be a 2 voice percussive side kick to the pb2. I think (and I could be totally wrong!) it’s purely meant for percussion and havent been able to do melodic or drony stuff yet. Using it with eurorack (in combination with a diy banana<>jack tumblr) is also pretty good so far, mind that it doesnt like negative cv. I think this would make a freaky dream duo with 0-coast, love the idea of doing a idm liveset on just the two. Someone have a spare 0-coast I can haz? thank you! related: can you clock the pb2 like you can the double knot? i can’t seem to find examples of anyone using it within a system, usually just solo.